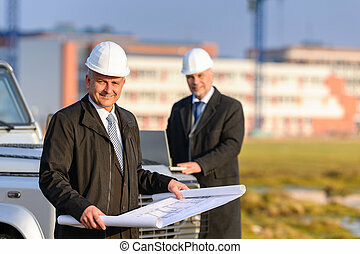 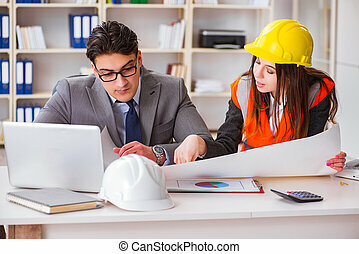 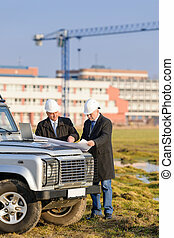 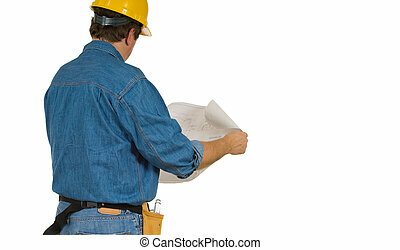 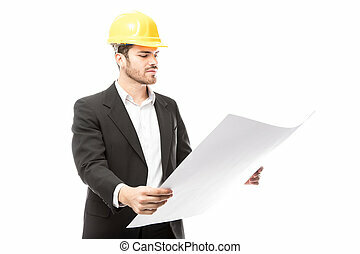 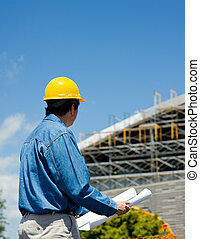 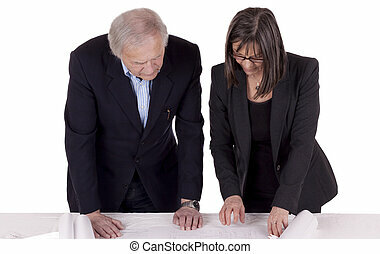 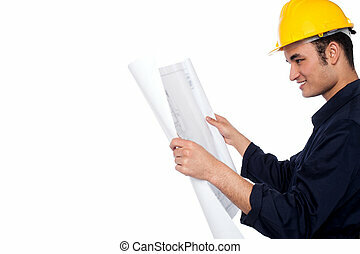 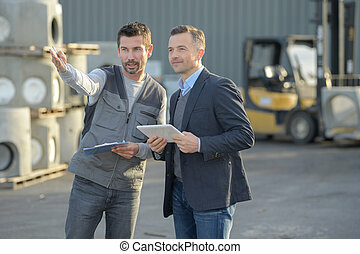 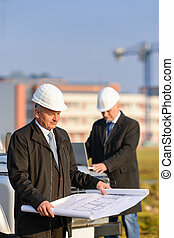 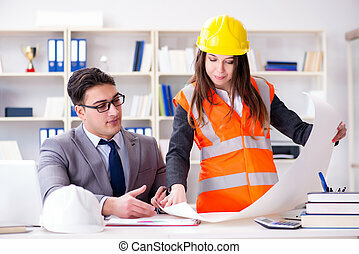 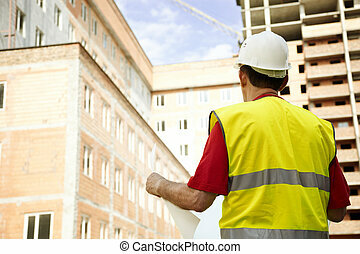 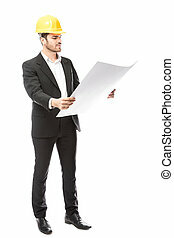 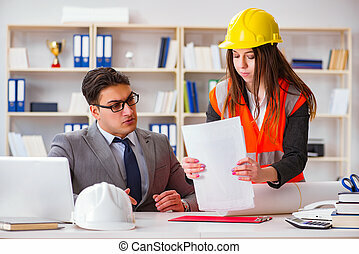 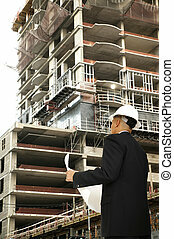 Construction man reviewing building plans. 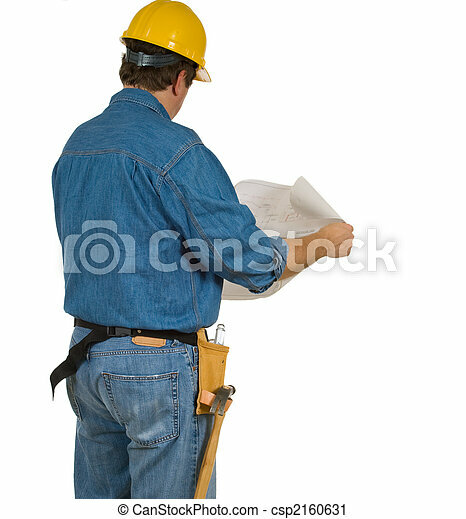 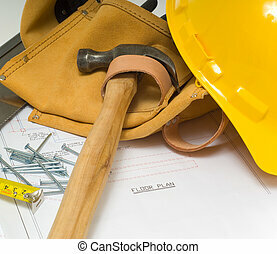 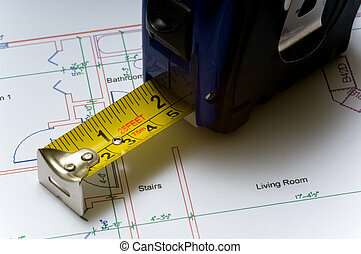 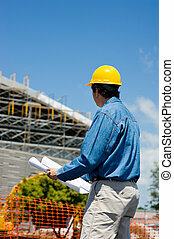 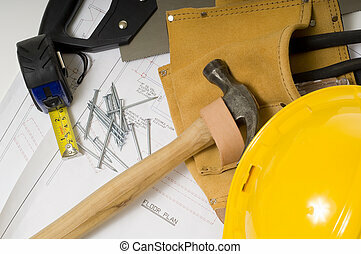 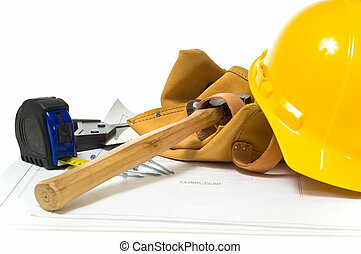 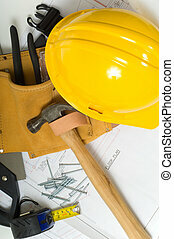 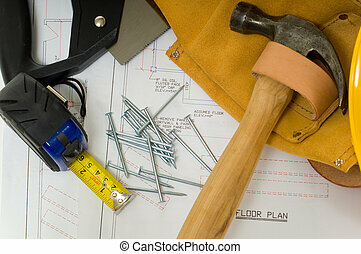 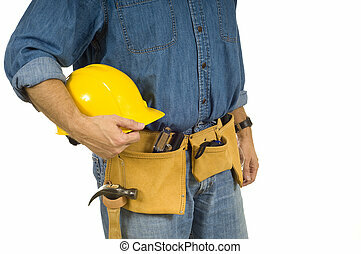 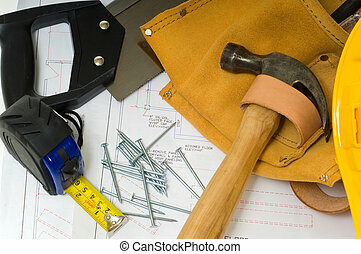 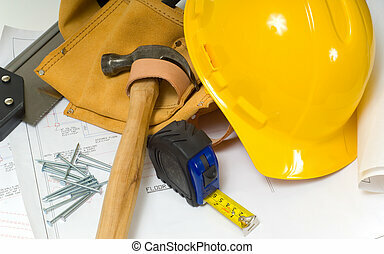 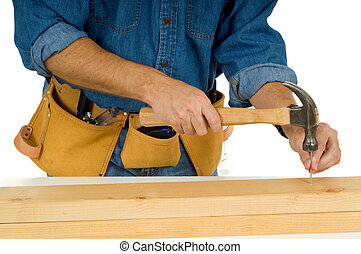 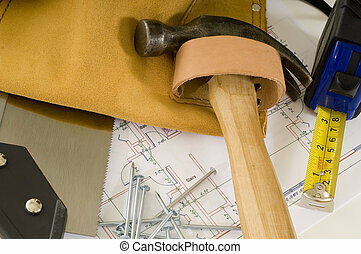 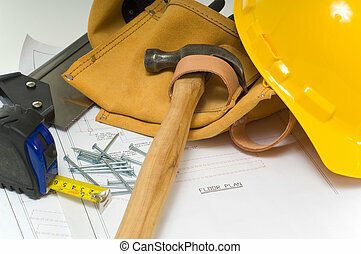 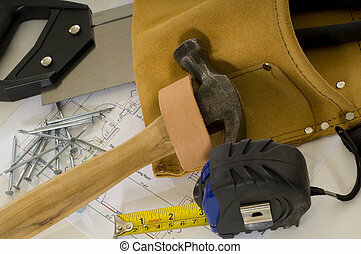 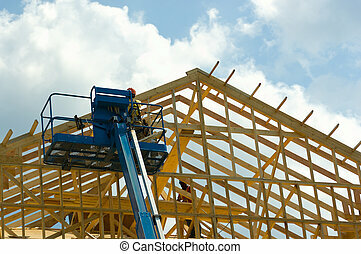 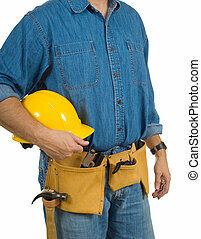 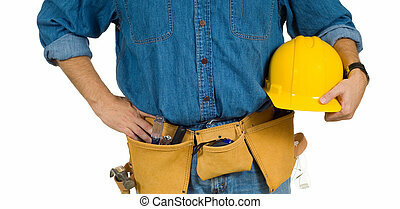 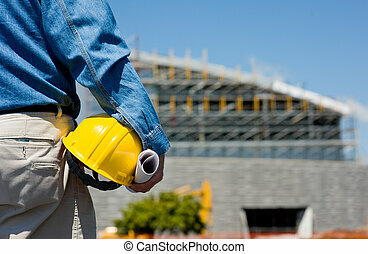 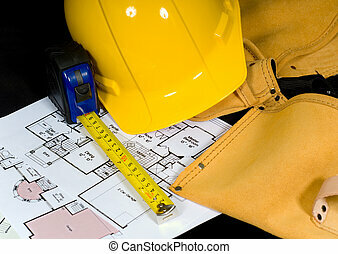 A mand with a tool belt and construction blue prints facing away from camera. 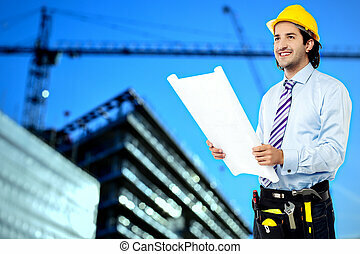 included copy space on a white background.